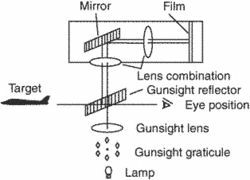 Optical diagram of a gun recorder (strike) camera. A camera (optical, radar, IR, or infrared) meant to record the impact point of a weapon and to give a preliminary indication of the strike result. Imagery secured by a strike camera is called strike photography. His job was to maintain the radar scope and strike cameras. And 1036 was one of only 17 in the Air Force with the strike cameras.